*** We no longer offer a $200 security deposit. Instead, we have a Damage Protection Waiver - "DPW" is a $45.00 non-refundable damage waiver that is added to every reservation. The DPF will cover up to $750 in accidental or inadvertent damages if, and only if, the damage/accident is reported at that time of occurrence. 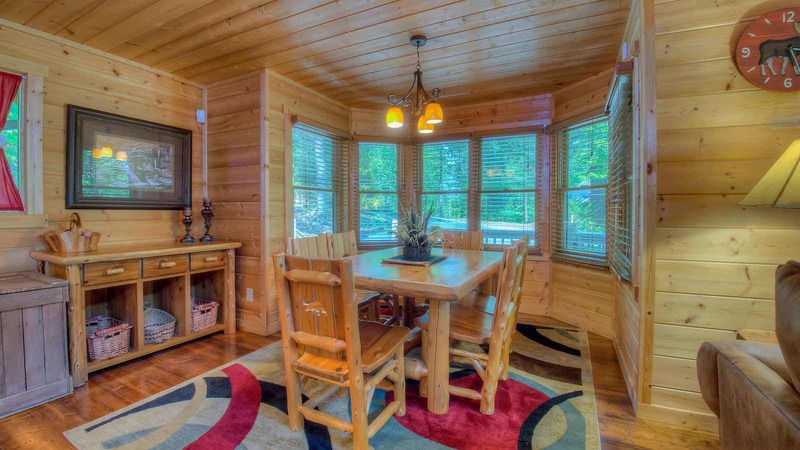 This is also listed on the Rental Agreement, Instant Qoute and FAQ. 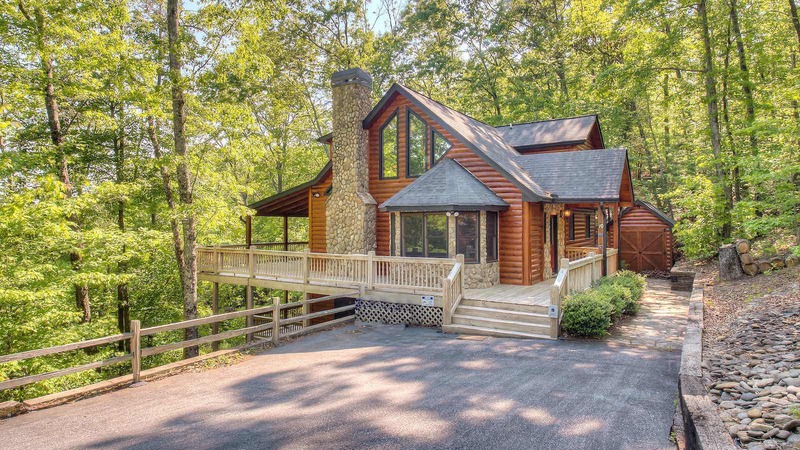 Fireside Vista is the perfect all paved access luxury cabin in Blue Ridge Georgia you've been looking for! 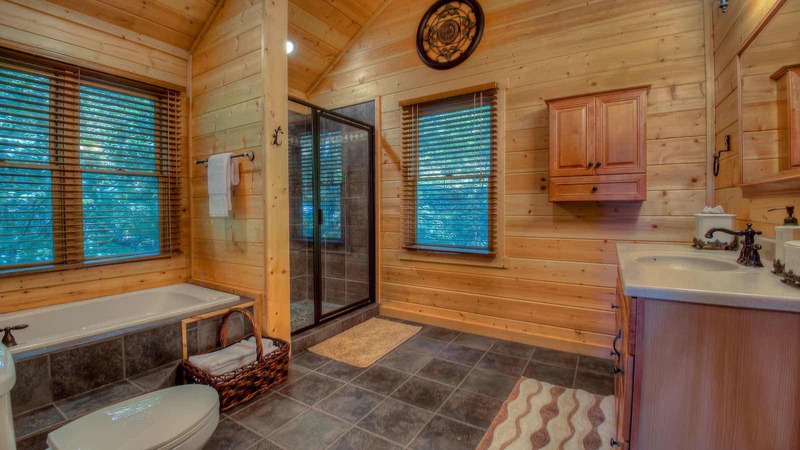 This cabin is ideal for three couples looking to get away, as it has three king bedrooms all with their own bathroom and TVs in each room. 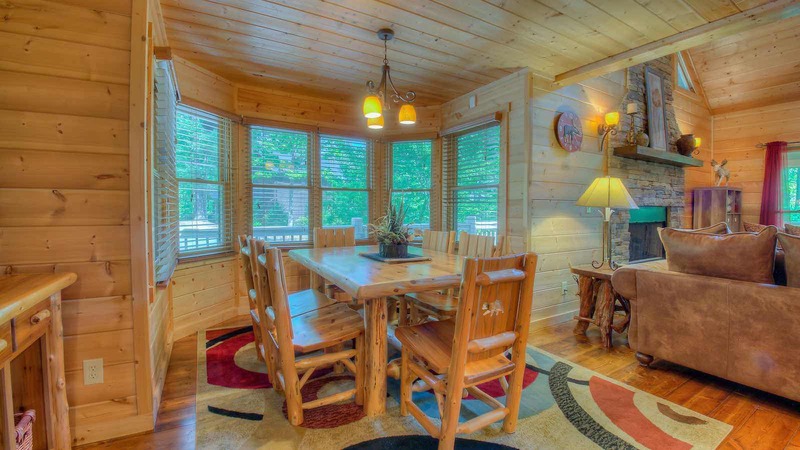 Fireside Vista has lots of luxurious wood touches and gorgeous decor throughout, and is located less than 6 miles from Downtown Blue Ridge on all paved roads for easy access. 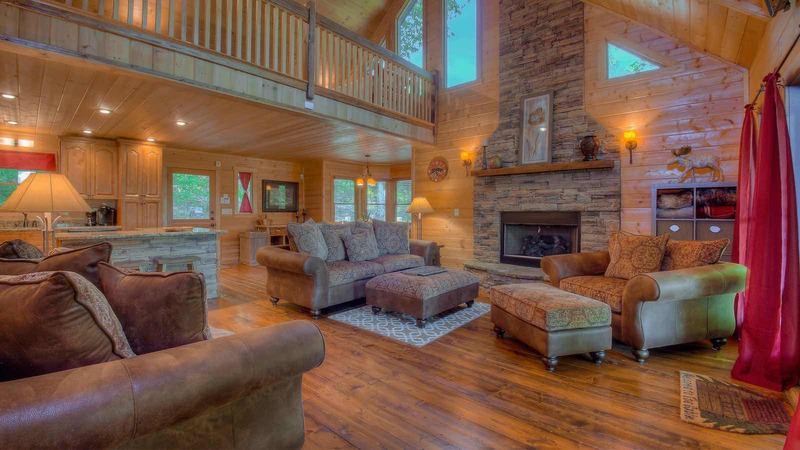 Don't forget the outdoor wood burning fireplace on the main deck too! 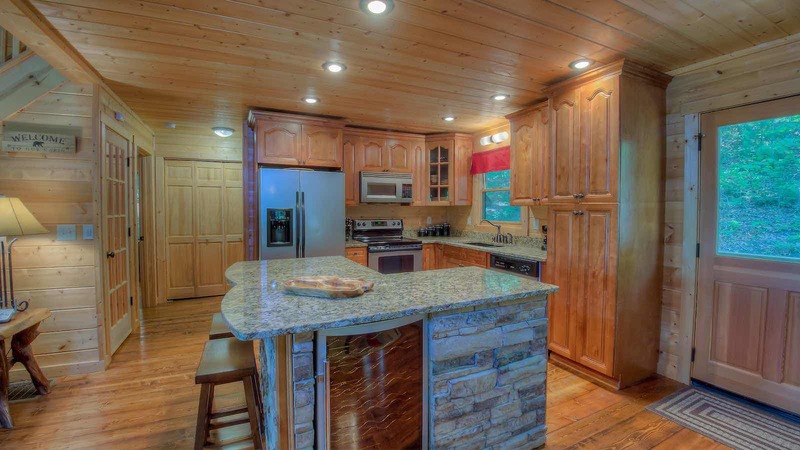 Step inside the main level, to the gorgeous upscale kitchen, dining area, and great room. 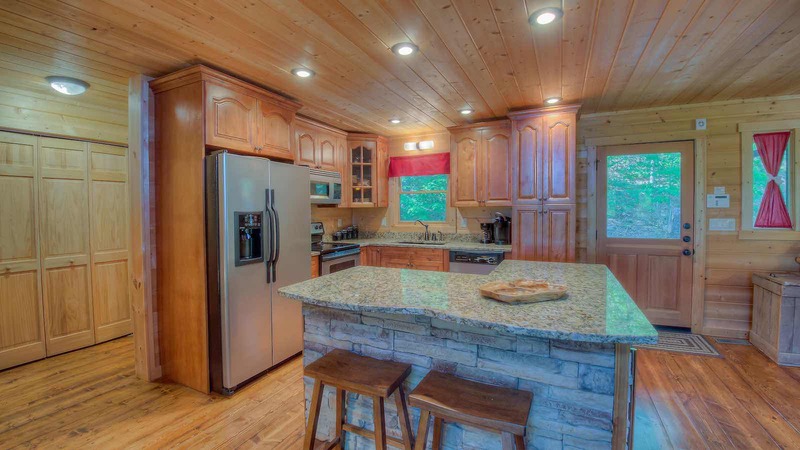 The kitchen has stainless steel appliances, granite countertops, and a handy wine chiller under the kitchen island and the dining table has seating for six guests. 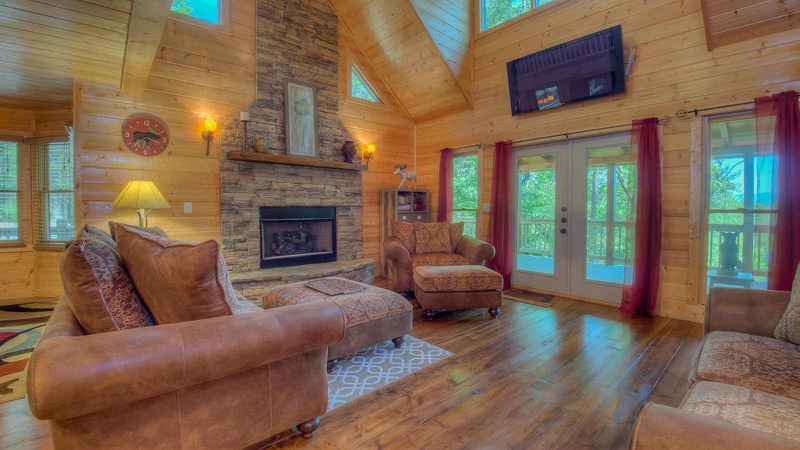 The great room has comfy seating around the gas log fireplace, a large flat screen wall mounted TV plus windows and French doors facing the Mountain view. 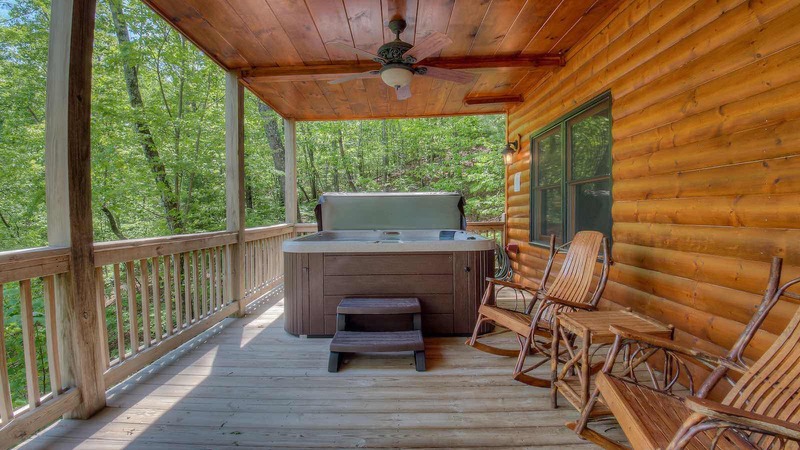 Step out onto the main level deck to discover the gas grill and outdoor fireplace! 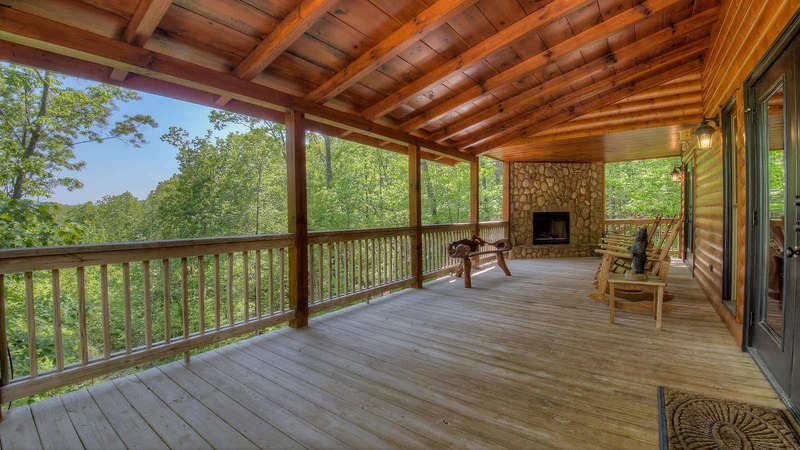 This space is perfect for entertaining while you grill, as your guests enjoy the wood burning outdoor fireplace surrounded by mountains. 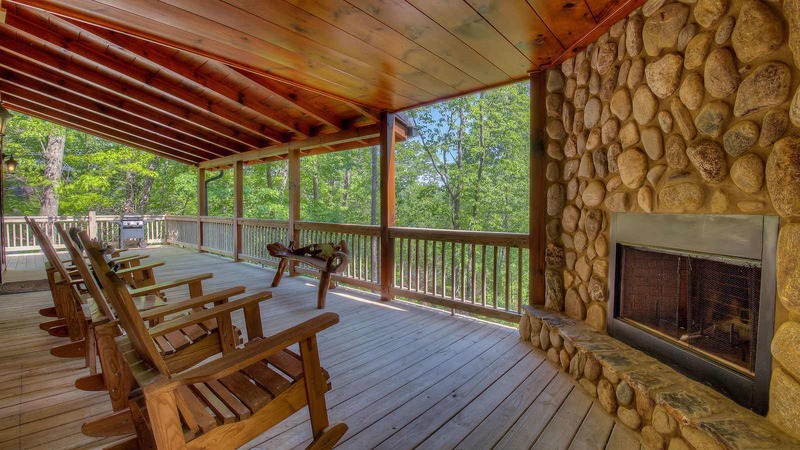 Evenings by the outdoor fireplace having your favorite snacks and beverages will become wonderful memories made in Blue Ridge! 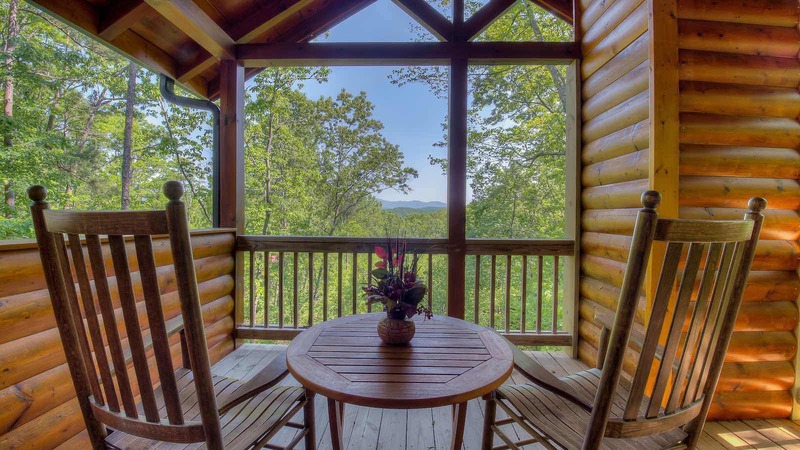 Or, get up early before everyone else to enjoy the morning with a warm cup of coffee with the lovely and serene view just by yourself in one of the cabins porch rocking chairs. 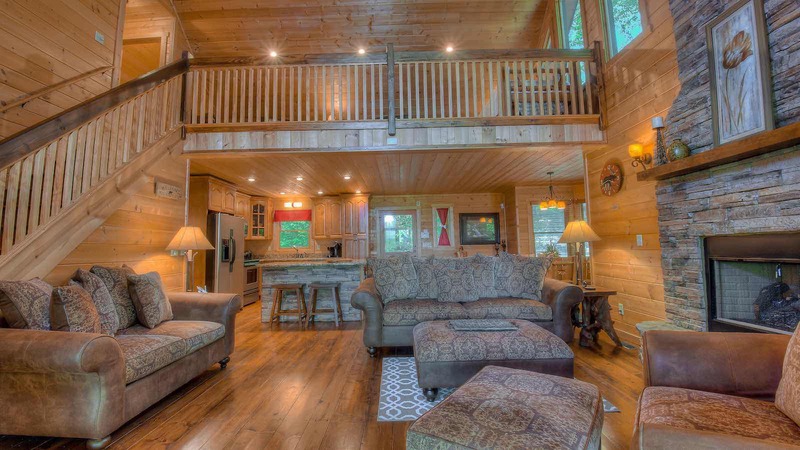 Inside and adjacent to the kitchen/great room is the main level bedroom and bathroom. 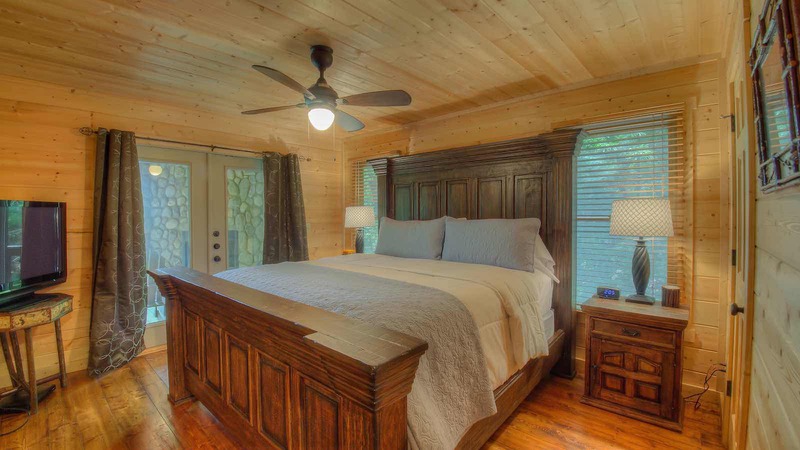 This bedroom has a flat screen TV, an impressive King size bed, doors that open to the deck, and its own bathroom with a luxury tile shower and copper sink vanity. 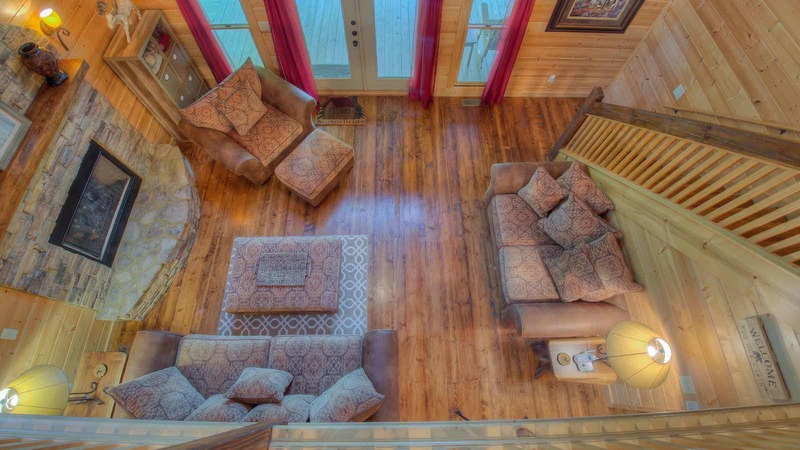 Inside and up the stairs, you will find an open loft with a Twin size bed and seating. 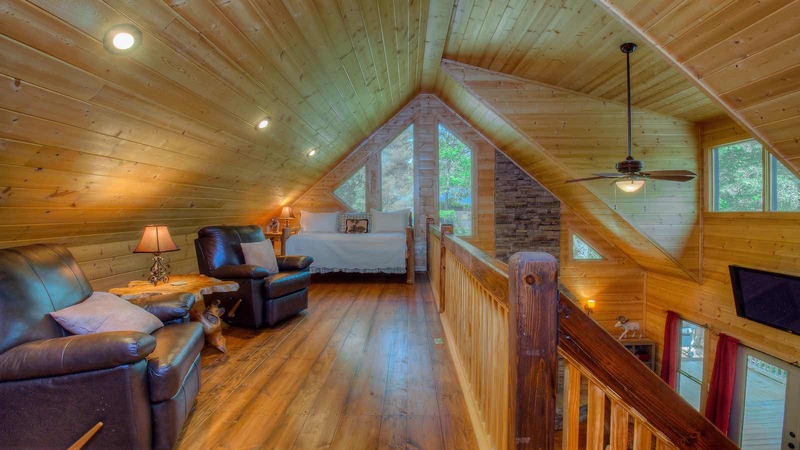 The loft also has windows in two directions, so you can catch up on reading while lounging around with the mountains peaking in through the windows. 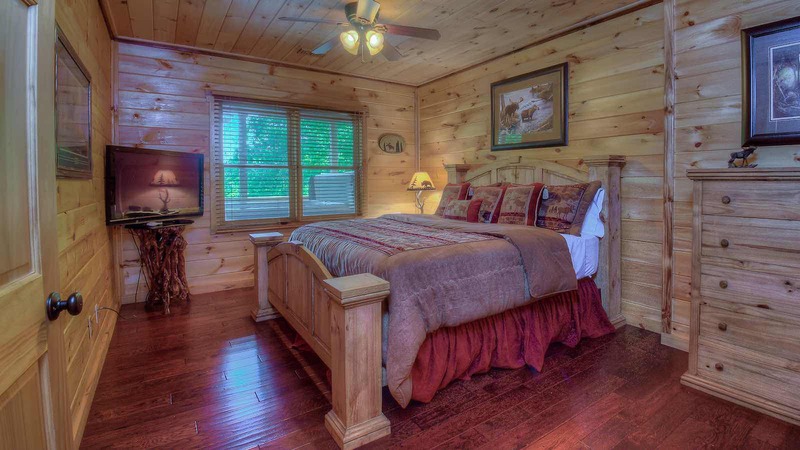 Just a few steps away, is the master bedroom! 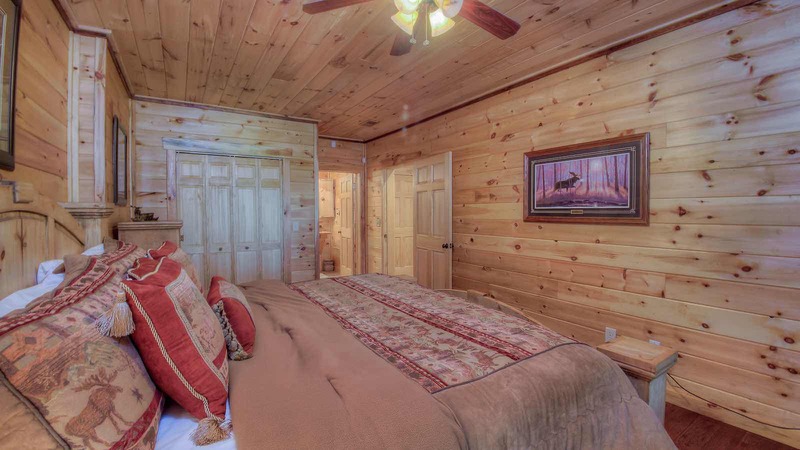 This bedroom has a log King bed, flat screen TV, a private balcony, and bathroom. 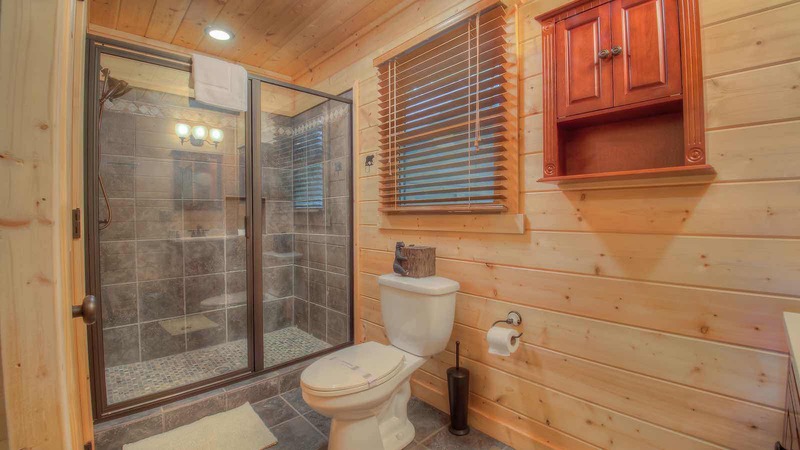 The bathroom has a garden tub, luxury tile shower, and copper sink vanity. 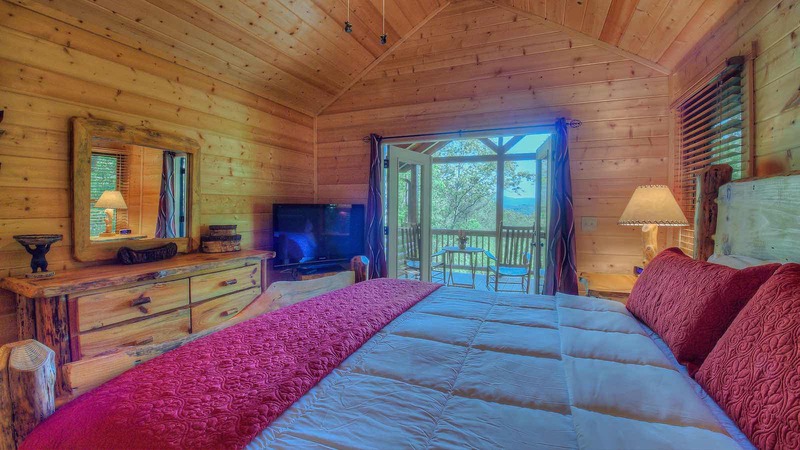 The master bedroom's balcony offers you a chance to enjoy the mountains alone or with your significant other, whether it be with champagne or coffee... the private balcony will be on of your favorite amenities! Ready for a challenge? The game room level has an awesome Ping Pong table, to settle those old friendly scores with your favorite friends/rivals all as to who's the real Ping Pong Champ! The game room also has a beautiful luxurious bar (maybe the loser makes bartends?) 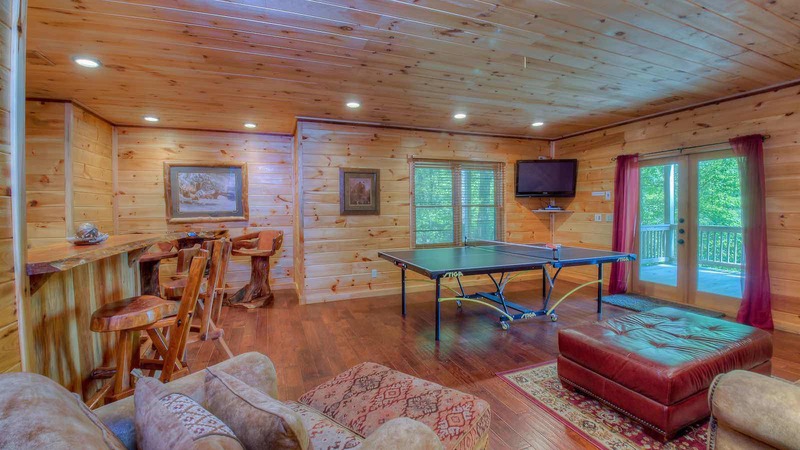 plus lots of seating and a large flat screen TV. 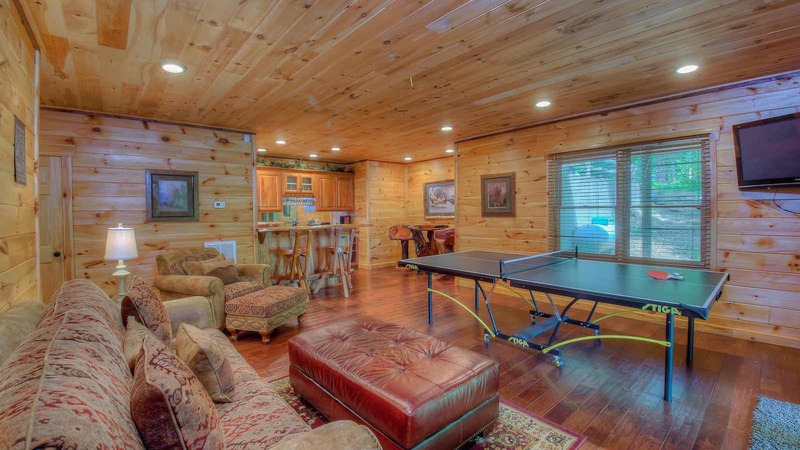 You'll love the craftsmanship on the game room’s stunning White Pine bar! The pub table and chairs were crafted from authentic Black Walnut into a functional piece of art that still preserves the trees natural occurring shape. 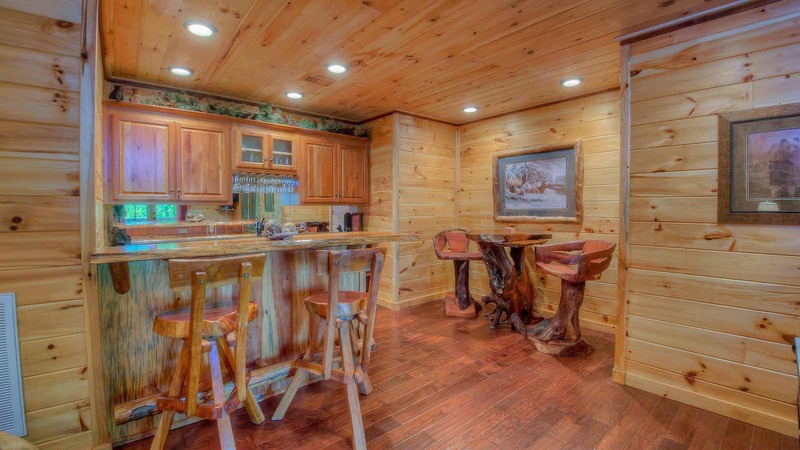 The bar also has log slab counter tops, a copper sink, a wine chiller, and plenty of glassware for hosting a little wine tasting for 2 - 6 in the lower level! 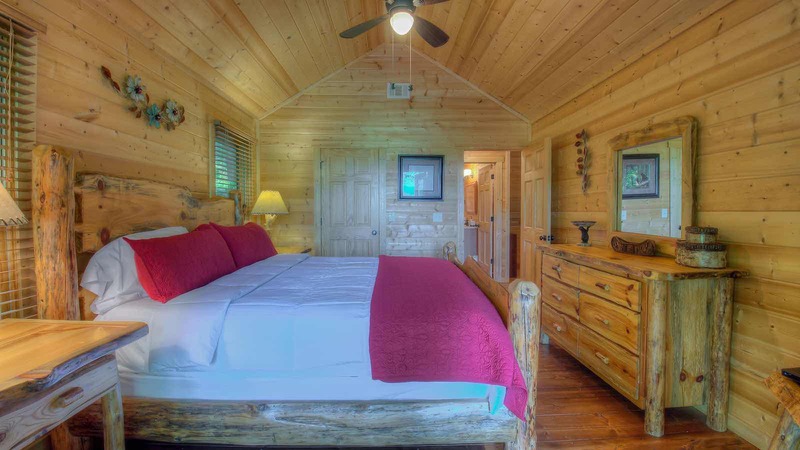 Around the corner is the third bedroom, which has a beautiful Timber-frame King size bed, flat screen TV, and its own bathroom. 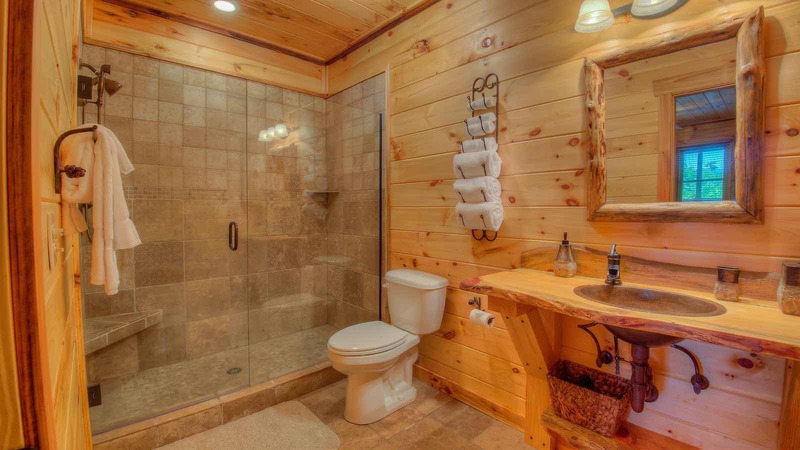 This bathroom has a luxury tile shower and copper sink vanity. 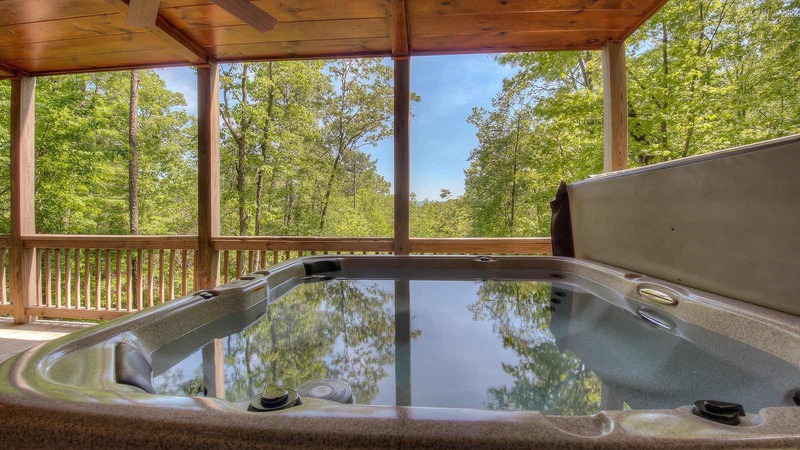 Outside the game room is the lower level deck, which has the relaxing hot tub spa just waiting for you to soak any worries you might have away. 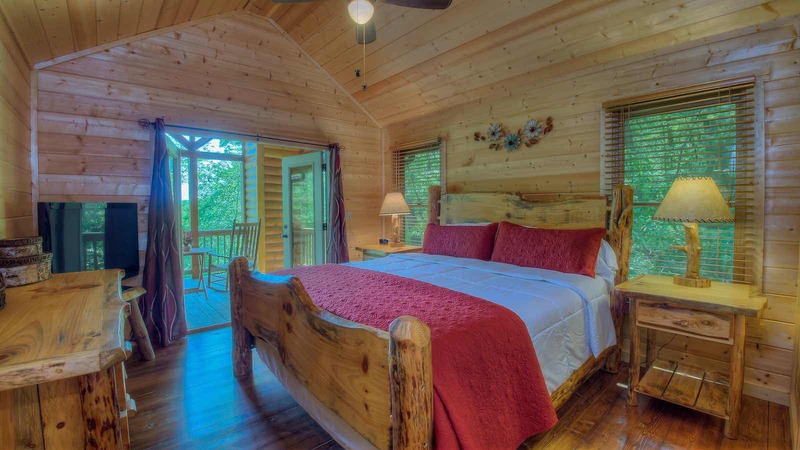 Fireside Vista has everything for a couple’s retreat, a girlfriend’s getaway, or just a romantic getaway for two. Did we mention its pet friendly? 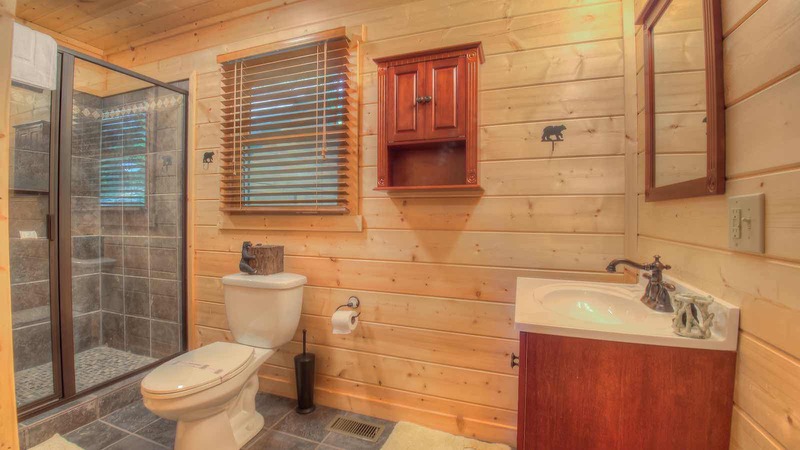 No need to leave your fur-baby at home, when you can bring them along to enjoy this luxury cabin with you!